The public is getting an inside look at the Toronto District School Board on Thursday with an external review of governance issues at the troubled board. The public is getting an inside look at the dysfunction at the Toronto District School Board on Thursday with the release an external review of governance issues at the troubled board. The results are damning — documenting possible board surveillance on phones and emails, trustee interference in school matters and a culture of fear within the education system. The report makes 10 recommendations to improve the current situation — including removing TDSB executive offices and reduced powers for trustees. 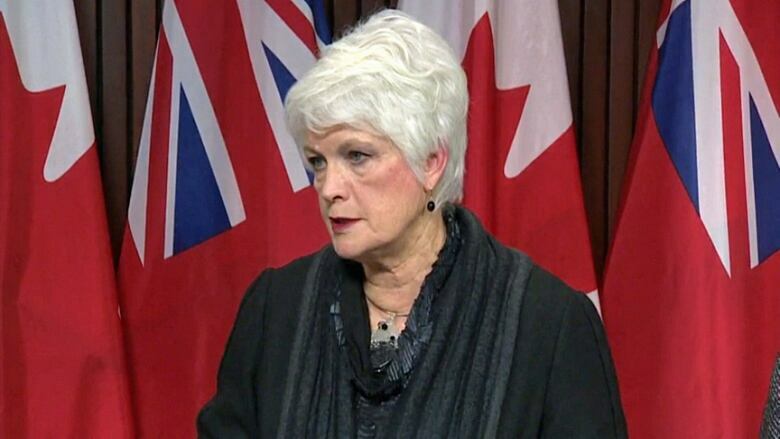 Education Minister Liz Sandals is taking those recommendations in full. She is directing the board to implement them by Feb. 13. "If the board does not comply, it will be legally possible to take further steps," warned Sandals. The 34-page report given to Sandals goes into great detail about the culture of fear at TDSB, which apparently seeped into the classroom. The review was completed by Margaret Wilson, who called the situation "deeply disturbing." "I've never interviewed people when they've burst into tears they've been so stressed," she recalled from her investigation. She says a major contributing factor to the dysfunction was the board's involvement in employee promotions. Wilson conducted 60 interviews, and many reported that trustees essentially choose principals. Other trustees will sit in on classrooms to observe teachers. And in some cases, trustees were reported to have immense direct input into schools' decision-making — "right down to the colour of the pencils." Wilson also described the level of distrust between school staff and the board. Many principals and superintendents told her they no longer use the board's email or phone system, using their personal mobile devices to contact each other instead. They believed the board was monitoring their communication. "I had a surprising number of people who thought their email and telephone services were being monitored," said Wilson. When she was making appointments to meet with staff, she said she began to believe the rumours, and instructed meetings to be set up using alternate phone lines. "It was obvious that they knew we were making arrangements with specific people," she said. Wilson made 10 recommendations in the report, among them removing trustees from the promotions process. From that Sandals, issued 13 directions to the board. Some directions added on by Sandals included the closing of trustees' individual offices at 5050 Yonge St. board headquarters, having trustees move to a "shared services model" while trimming discretionary budgets of trustees and stopping trustees from contracting with constituency assistants. Shaun Chen, the chair of the TDSB, indicated the board would accept the directions. "We take the audit and review seriously. We will move forward with the directions," he said, while cautioning the deadline was "challenging". Chen said board members are eager to "turn the page" on some of the challenges they have faced in the recent past. He added that the controversies have had an adverse effect on everyone in the school system, including students. "When there is a lack of public confidence in the board, everyone suffers," he said. 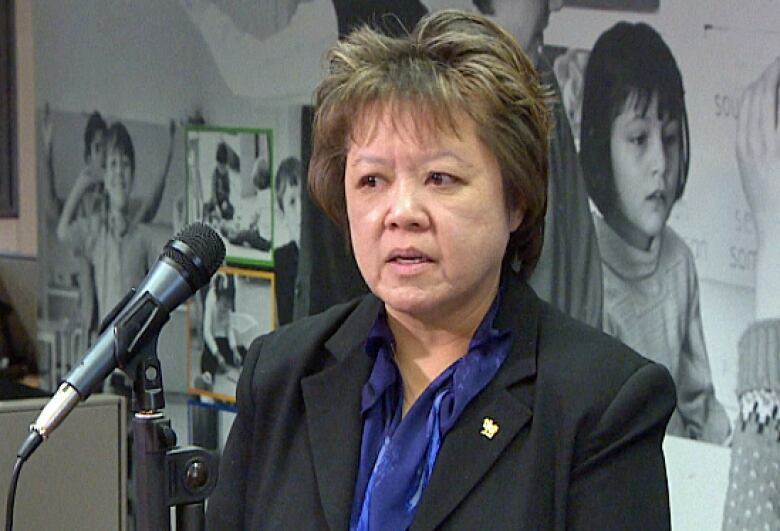 Donna Quan, the embattled director of education, agreed there was work to do to improve the school board. She said morale had been damaged. "Morale does have an impact on the environment our students live in and work in," Quan said. At the legislature, PC education critic Garfield Dunlop suggested the provincial government had failed to act on a problem for a long time and as a result it festered. "We sat back and watched this turmoil, or this culture of fear, for at least seven or eight years," he said. 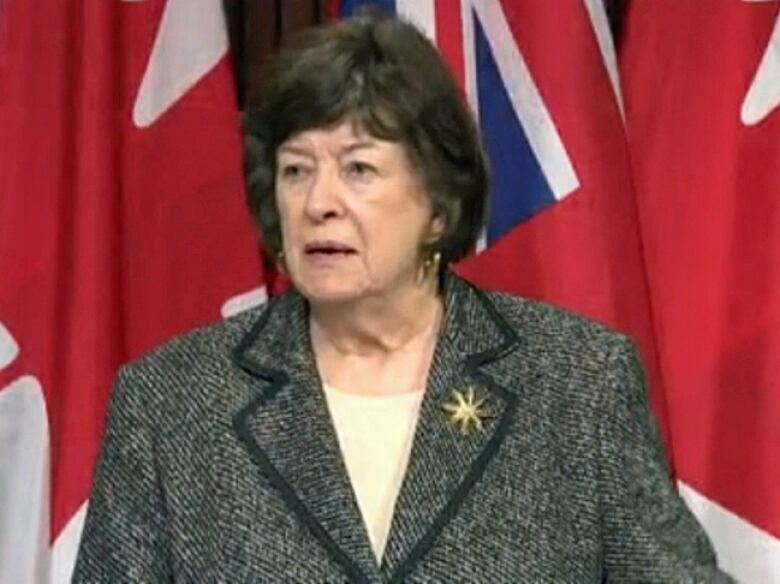 Dunlop suggested the trustees were being used as "scapegoats" to deflect from the responsibility the government had. Sandals announced in November that a review would be conducted by Margaret Wilson. The review was prompted by concerns about the governance at the TDSB. It was to include what the ministry described as a review of "current operational issues" at the board, as well as a look at its governance structure. The TDSB has dealt with a series of ongoing problems that have put it under more intensive scrutiny. These have included various high-profile controversies and tensions among board leaders. The board recently saw some renewal after voters elected 11 new trustees in October. Nearly a quarter-million school-age students attend TDSB schools, according to statistics available on the board website.